Imagine raising a child while driving cross-country for four months. That's exactly what Tristan Yeats and Cindy Lim are doing with their five-month-old daughter. LOUISVILLE, Ky. (WHAS11) — The first year of parenting is an incredible journey. Between late night feedings and thousands of diaper changes, learning how to raise a child can be challenging. Now imagine raising that child while driving cross-country for four months. 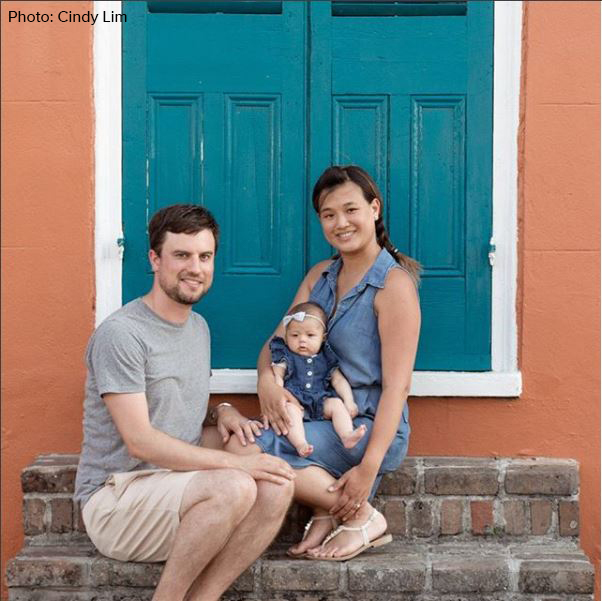 It sounds crazy, but that’s exactly what Tristan Yeats and Cindy Lim are doing with their five-month-old daughter Harper Yeats. 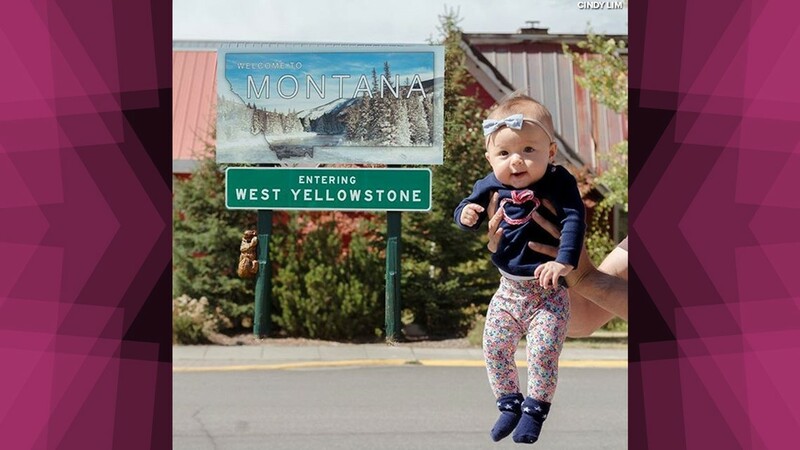 In June, the trio left their home in Toronto, Canada and have been driving across the United States with the goal of visiting all 50 states before Harper turns 6 months old. 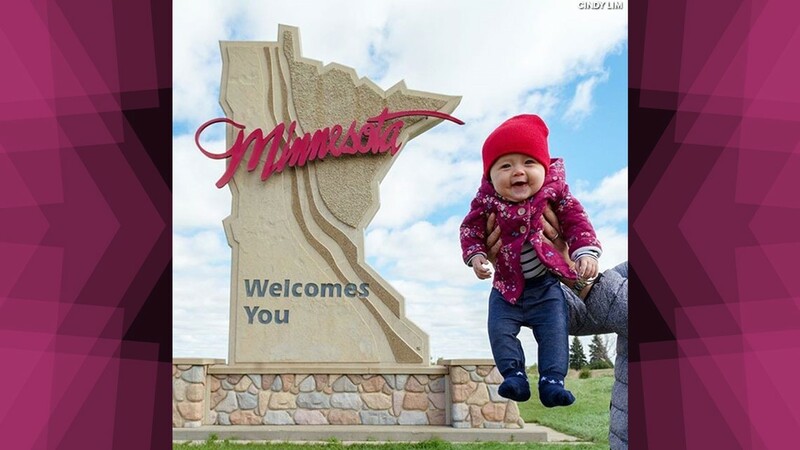 A love of travel and Cindy’s year-long maternity leave made the trip possible. Tristan and Cindy wanted to make sure they spent the first year of Harper’s life together as a family and decided that just sitting around at home wouldn’t do. “We thought, ‘We should go on an adventure,’” Lim said. 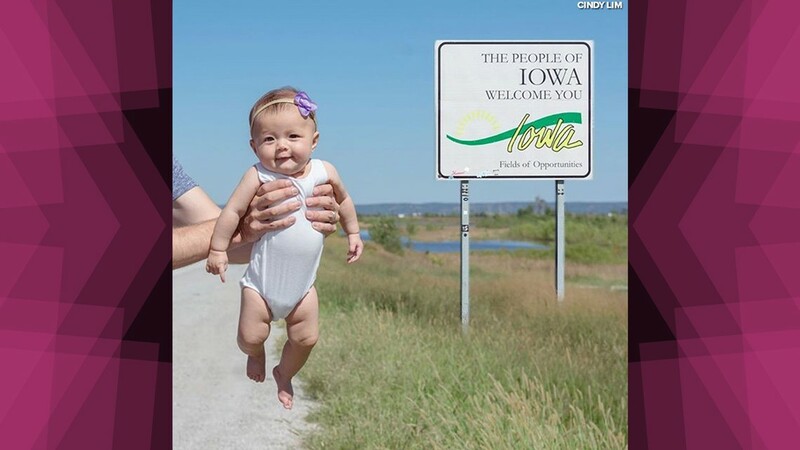 The Australian couple always wanted to visit all 50 states, but they never intended to complete the feat with Harper in tow. 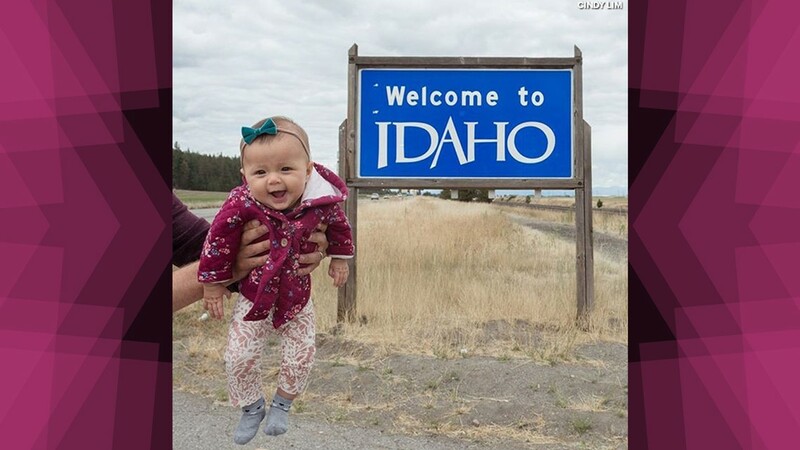 Before Harper was born, Tristan and Cindy visited the U.S. frequently and had already visited 19 states on their own. 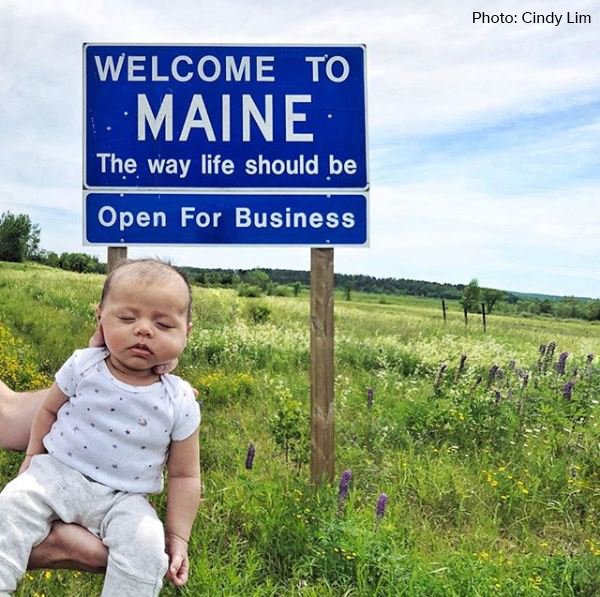 When they entered Maine on June 17, their intention was to just cross the remaining states off their list. However, as they traveled down the East Coast, they discovered something called the All Fifty States Club - an online club for those who set foot in every state. Currently, the youngest person to be a member of the club is Ethan Connor from Northern Ireland. 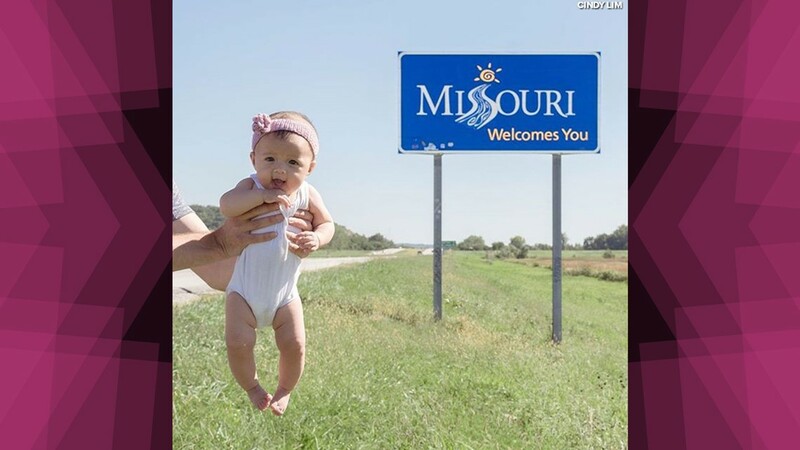 He was two years old when he became a member, so if Harper visits all 50 states, she will take that title. When Tristan and Cindy first shared their plan, people said they were crazy for wanting to travel that far with a newborn. But the journey has been great so far. Lim said that a good car seat and plenty of stops have been essential, but little Harper travels well. Over the last four months, they’ve visited the hot spots – places like Yellowstone National Park, San Francisco, and New Orleans stood out as they thought back on their journey. 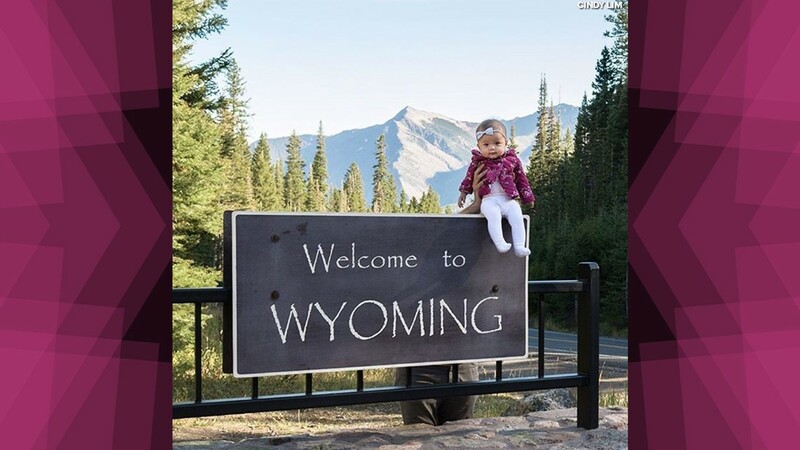 Their favorite state so far is Montana – they adored the picturesque scenery – and they said Tucumcari, New Mexico was another one of their favorites. 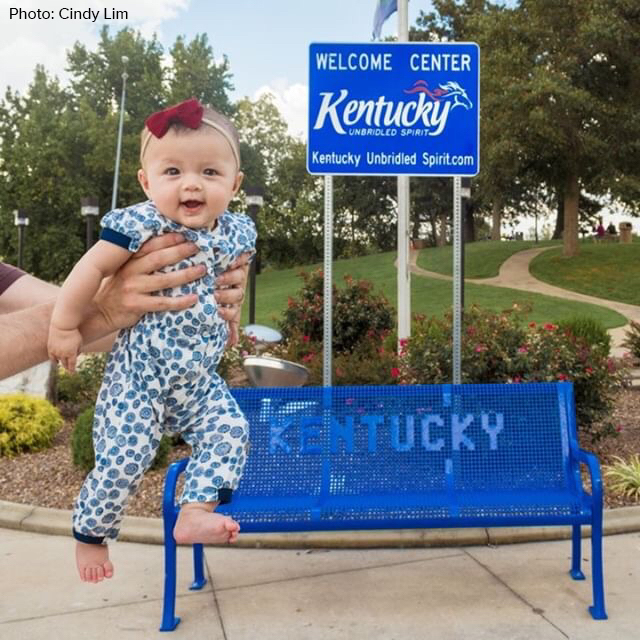 Tristan, Cindy, and Harper cruised into Louisville in their Jeep Cherokee on Oct. 9. This was state 48 for Harper, but state 50 for Tristan and Cindy. The couple said they were so caught up in keeping track of Harper’s numbers that they did not realize this was their final state until they arrived. The only thing the family planned to see was the Louisville Slugger Museum. Yeats grew up playing baseball, so it made sense to start there. Other than the museum, they had not made any specific plans. According to Yeats, they prefer to “wander aimlessly” to get to know the character of the town. The family is hoping to get Harper a little more recognition for her achievement. There isn’t a Guinness World Record for this feat yet, so they’ve applied to set it. For now, Harper is getting some internet fame. 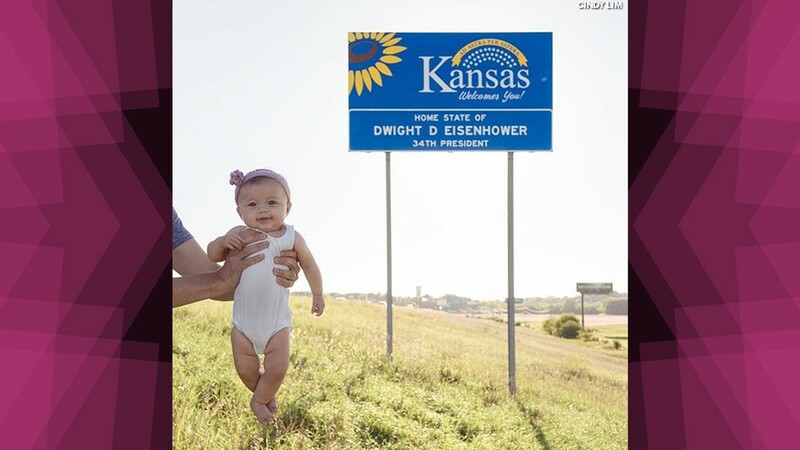 Inspired by the documentary “50 States 50 Days”, Tristan and Cindy took pictures of Harper in front of every state sign and have been posting them on Instagram. This family has been on the trip of a lifetime. They’ve seen the smoke of the California wildfires, a little Kentucky bluegrass, and more of the country than most Americans will ever see. However, it’s not the top tourist attractions that they will remember the most. 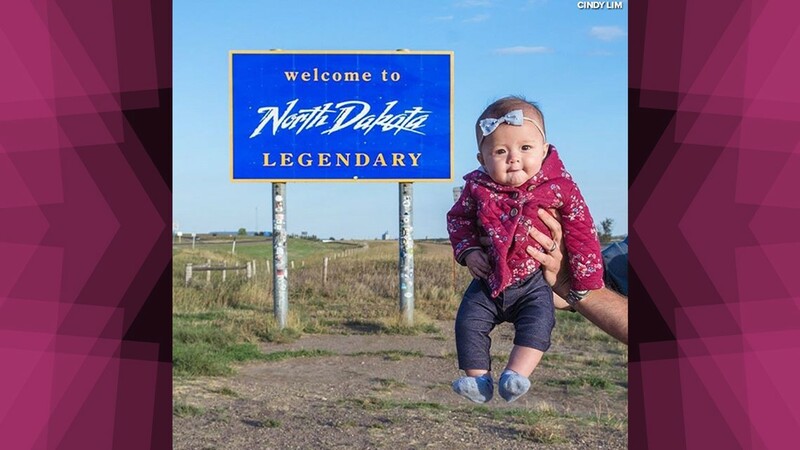 “Some of the best places we’ve gone are just the…lesser known towns where we got to make memories with Harper,” Lim said. Lim recounts how she and Tristan stood outside the State Capitol Building in Bismarck, North Dakota and listened as their daughter learned to laugh. 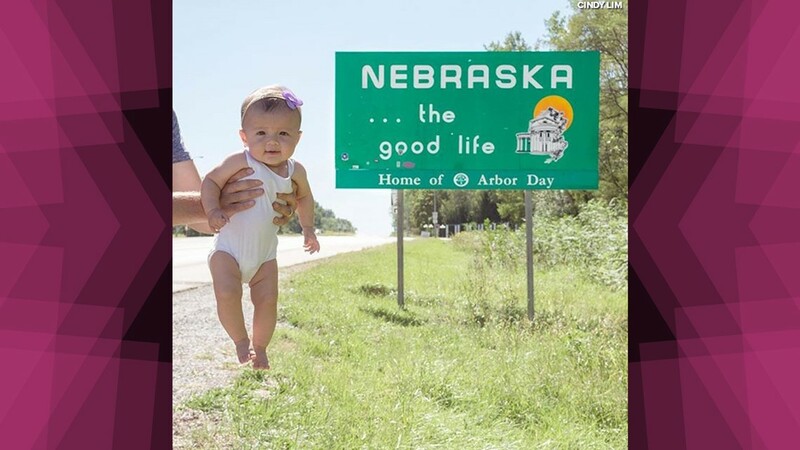 Harper reached another milestone when she rolled over for the first time in North Liberty, Iowa. For Tristan and Cindy, the places aren't important – this trip is about the time they’re getting to experience with their first child. And while Harper won’t remember much, Lim hopes that her daughter will find her achievement inspiring. “I hope that when we…talk about everything we got up to," Lim said, "that it’ll give her confidence in years to come that she can do anything." Keep up with the rest of Harper's journey on her Instagram page, @harper.yeats.